Enjoy the top 1 famous quotes, sayings and quotations by Robert Stanfield. These are the people we elected and if we are not satisfied we should get new candidates. It is in our hands. It is our country. It is a very simplistic view that politicians are to blame for everything. Want to see more pictures of Robert Stanfield quotes? 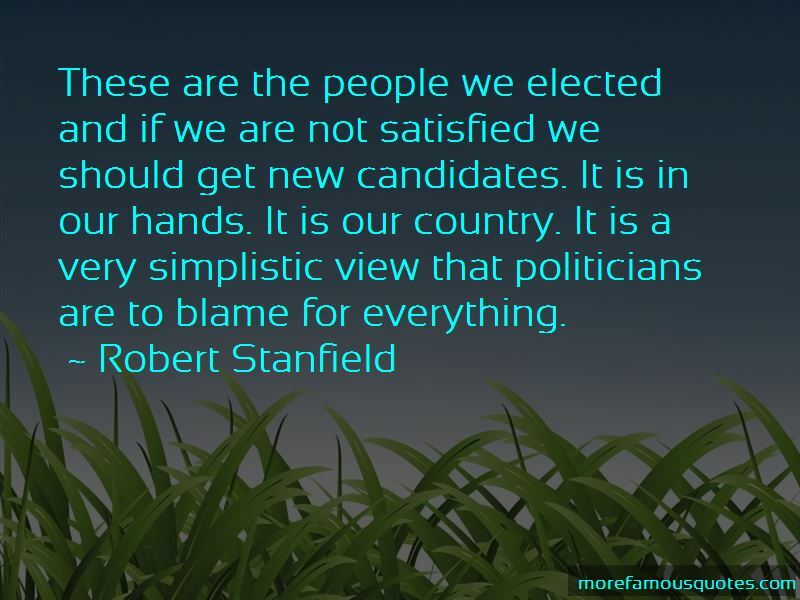 Click on image of Robert Stanfield quotes to view full size.